You’re dragged out of dreamland by the alarm, rushing to leave the house on time, mentally preparing for the day ahead… Who’s got time to make a healthy breakfast? Mornings are tough enough as it is—but COOKIES make everything better. As Cookie Monster once said, “Count your cookies, not your problems.” But, not just any old cookies: healthy vegan breakfast cookies! Even though these beauties taste like indulgent sweet treats, they’re loaded with nutritious fuel, low in sugar, and entirely plant-based. The perfect cure for hangry (hungry + angry) mornings, totally guilt-free, and made with feel-good ingredients. 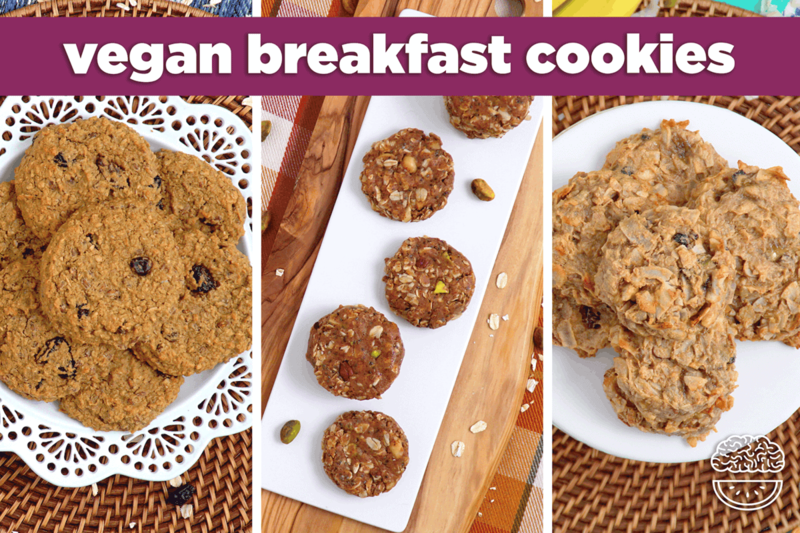 I’ve partnered with Bob’s Red Mill to bring you these vegan breakfast cookies recipes and I couldn’t be more excited! Seriously, this has been my go-to healthy baking brand for years. Their unsweetened coconut shreds, almond and coconut flours, organic gluten-free oats—I use Bob’s Red Mill products ALL the time on the channel and in my own cooking. Honestly, because they’re just the BEST! 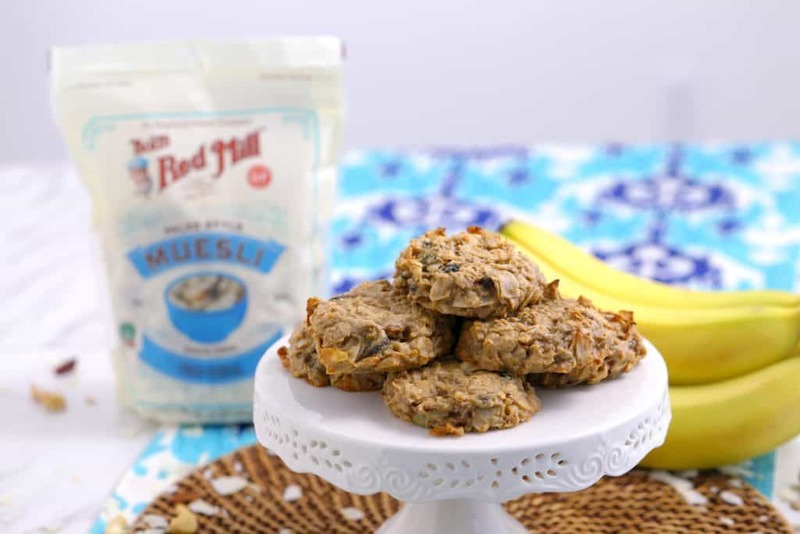 And, these vegan breakfast cookies feature some unique Bob’s Red Mill goodies that I don’t see in many (or any) other brands—like their organic farro and paleo style muesli! More info about those items with the recipes below, and I highly recommend giving them a try. Best of all, the Bob’s Red Mill team has even given me a special discount code that you can use for 20% OFF any and all of their products! 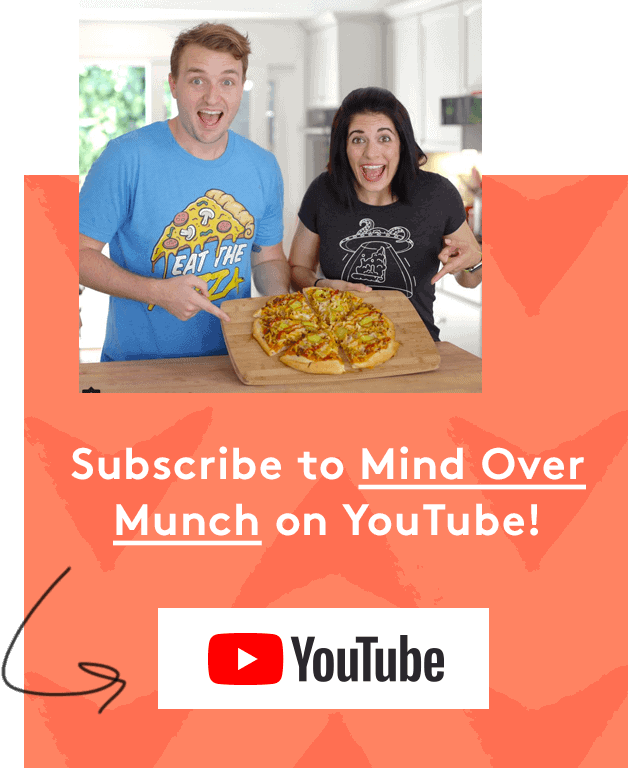 Visit the Bob’s Red Mill online store and use the code “MindOverMunch20” at checkout for 20% OFF your entire order—anytime between now and November 30, 2018! You Are What You Eat—So Be A Smart Cookie! Okay, so cookies are actually my all-time favorite sweet treat. But, if you’ve got an inner Cookie Monster like me AND you’re trying to live a healthy lifestyle, how do we find balance? It’s all about the ingredients. You are what you eat—and ingredients matter! Which is why Bob’s Red Mill has a special place in my heart and in my kitchen. Their promise is to provide high-quality, minimally-processed products straight from their mill to my table, so I know that I’m buying ingredients my body will appreciate. Plus, Bob’s Red Mill has always been a brand that’s easy to find in my grocery store—and affordable! Or, you can find even more of their unique and healthy goodies in their online store. Whole grains, on the other hand, contain all three parts of the original grain. And, that’s why they’re rich in nutrients like fiber, slow-digesting complex carbohydrates, vitamins, mineral acids, and antioxidants! In simplest terms: a refined grain is missing some of its most nutritious parts, while a whole grain retains all of its nutritional health benefits. Without those wholesome nutrients, refined grains get absorbed by our bodies so quickly—and too quickly. Not only are we missing out on the nutrients in whole grains, but refined grains can also disrupt our blood sugar levels and metabolism over time. So, if you want healthy breakfast cookies that are actually fuel-filled, whole grains and wholesome ingredients are a must! Unfortunately, “whole grain” health claims on some labels can be extremely misleading. (Or, totally false.) But, not at Bob’s Red Mill! They’re a rare brand that actually cares about the products they sell and the foods that we put into our bodies. The team at Bob’s Red Mill strongly believes that whole grains are the best grains for our bodies, as do I! In fact, Bob’s Red Mill offers the largest lines of organic, whole grain foods in the entire United States. They’re a brand that I believe in and that I can trust. Plus, their awesome products make it so deliciously easy to craft healthy baking recipes! 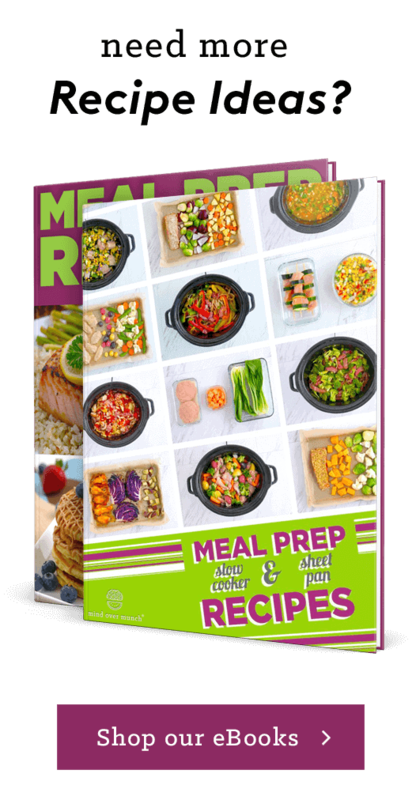 I’ve linked the nifty Bob’s Red Mill products I used in each recipe, so you can check them out for yourself. But, there are TONS of other items to explore in their online store, so take a look around. Oh my muesli…these coconut cashew paleo breakfast cookies are unbelievably scrumptious! Made with ripe bananas and rich, creamy cashew butter, they’ve got a salty-sweet flavor combination that I can’t resist. Plus, the baked-in cashew pieces and coconut shreds make this breakfast even more fun with a crave-able crunch in every bite! If you’ve never heard of muesli, it’s traditionally a cold cereal made of raw oats, nuts, seeds, and dried fruit that comes from Switzerland. 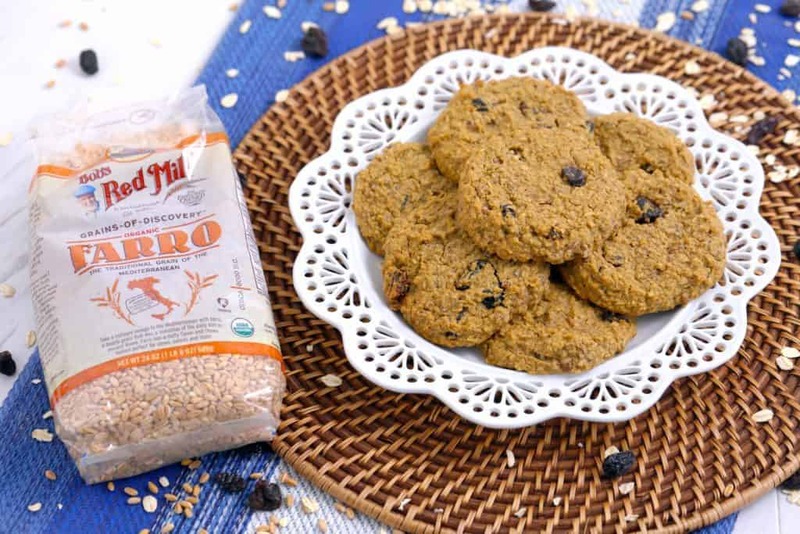 But, if you HAVE tried muesli before, you might be wondering: how can these vegan breakfast cookies be paleo? It’s all thanks to Bob’s Red Mill and their certified gluten free, grain free Paleo Muesli! Just like the classic dish, it’s filled with real fruits and a crunchy blend of nuts and seeds. But, instead of the traditional oats base, the main ingredient in their Paleo Muesli is unsweetened, unsulphured COCONUT flakes! Enjoy it by the bowlful with cold milk or yogurt, for a nutritious breakfast with 4g of fiber and 3g of protein per serving. (And, only 6g of net carbs!) Or, munch on it straight out of the bag for a filling and fuel-filled snack. 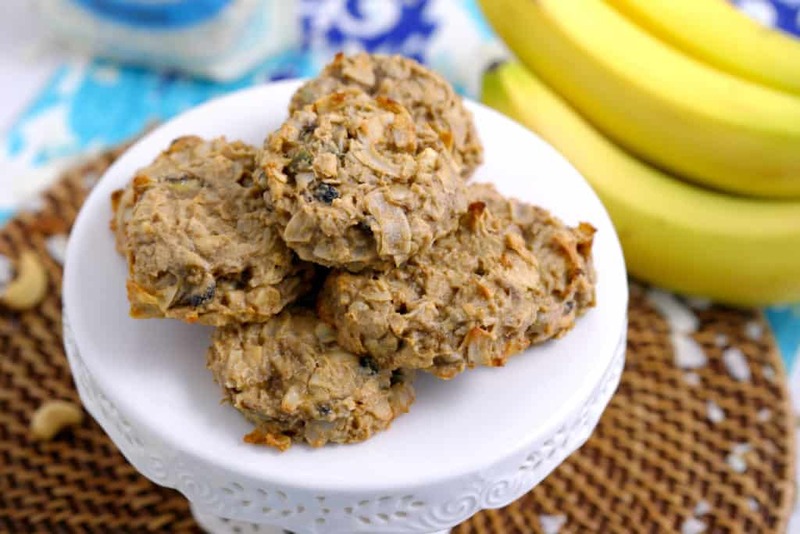 Better yet, you can use Paleo Muesli to make these lower-carb, paleo-approved vegan breakfast cookies! They’re full of coco-nutty goodness and natural sweetness, with NO added or refined sugars in this recipe. And, between the almonds, cashews, macadamia nuts, sunflower, and pumpkin seeds in Bob’s Red Mill’s Paleo Muesli, they’re rich in satiating protein and wholesome fats. An easy, on-the-go breakfast that will actually keep you full—and that you’ll actually want to eat! Use an ice cream scoop to drop cookie dough onto baking sheets lined with parchment. Flatten slightly with your hands. Store in an airtight container for 2 to 3 days or freeze for later! It’s hard to beat a classic oatmeal raisin cookie. 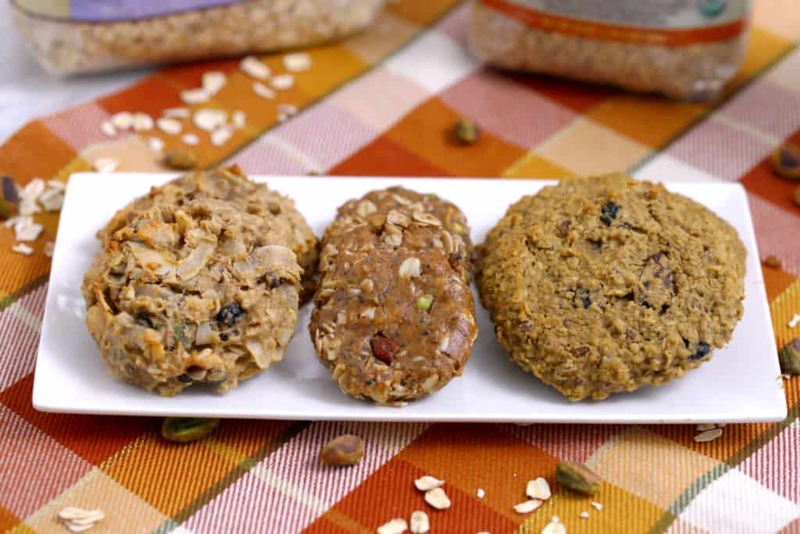 With a soft, sweet bite and simple, nutritious ingredients, these vegan breakfast cookies are like a satisfyingly portable bowl of oatmeal-to-go! To help cut down on added sugars, I used unsweetened applesauce for natural sweetness and flavor in this recipe. And, I packed in even more fuel and fiber with a sneaky superfood ingredient…Bob’s Red Mill Organic Farro! Farro is a nutrient-rich ancient grain that’s a relative of modern-day wheat. Often, you’ll see it featured in recipes for stews, casseroles, salads, and pilafs. And, you can use farro as a simple substitute for brown rice, wheat berries, or even as a whole grain alternative to risotto! But, its hearty, chewy texture and rich, nutty flavor make these vegan breakfast cookies ultra-comforting. Plus, it adds LOADS of health benefits to the recipe! Whole grain farro is one of the most fiber-rich grains, a good source of iron, and easy for the body to digest. I haven’t cooked with farro as much as some other grains, so I love that Bob’s Red Mill’s Organic Farro makes it easy for me to prepare. Seriously, they KNOW their farro. It’s prepared just like traditional farro in the ancient Roman days—lightly-scratched—so it cooks faster but still retains all of the wholesome nutrients! If you’ve never tried farro, it’s definitely worth giving it a whirl. 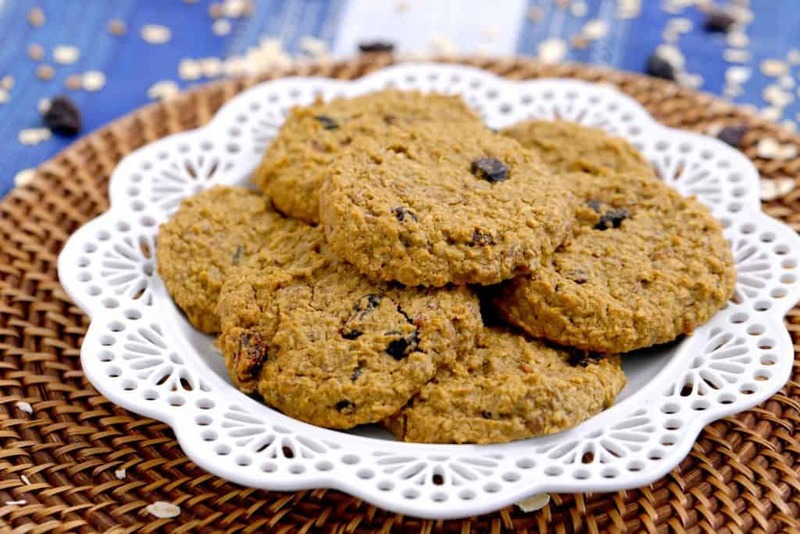 And, if you have a picky eater at home, these farr-oatmeal raisin vegan breakfast cookies can be a delicious way to fit more nutrients into morning meals! Store in an airtight container for 2 to 3 days or freeze for later. Just when you thought vegan breakfast cookies couldn’t get any easier…how about these NO BAKE breakfast cookies?! The almond butter makes for a creamy, chewy bite, and they’ve got the perfect hint of sweetness. But, it’s all of the yummy SALTY flavors and the CRUNCHY texture that win me over! 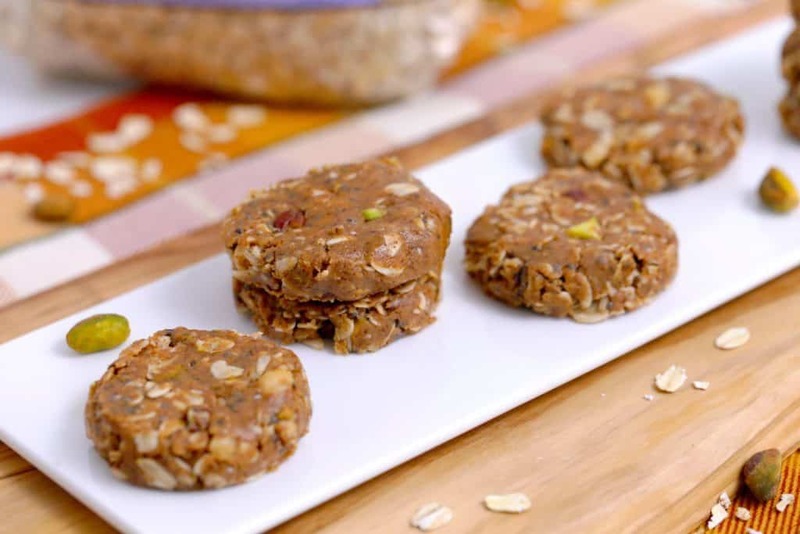 Between the chia seeds, pecans, pistachios, and macadamia nuts these breakfast cookies are filled with nourishing fuel and fun in every bite. Honestly, I’m usually not even a fan of no bake cookies, but I went NUTS over these! Of course, you could change up the recipe with all kinds of different mix-ins if you like. But, to bring these vegan breakfast cookies together, you’ll need one all-star ingredient: OATS. Oats of all kinds are rich in slow-digesting carbs to keep you full, as well as soluble fiber to aid in digestion and potentially lower the risk of heart disease. And, for my own cooking and baking, Bob’s Red Mill’s Gluten Free Organic Old Fashioned Rolled Oats are my top choice, hands down! Because, honestly, their oats are just plain tastier than other oats I’ve tried. They’re noticeably plumper and fluffier than other brands, with a subtle nuttiness that makes these no bake breakfast cookies extra flavorful. And, they’re even amazing in a bowl of old-school hot cereal. Usually, I need my oatmeal sweetened or flavored in some way, but these are delicious enough to devour plain! 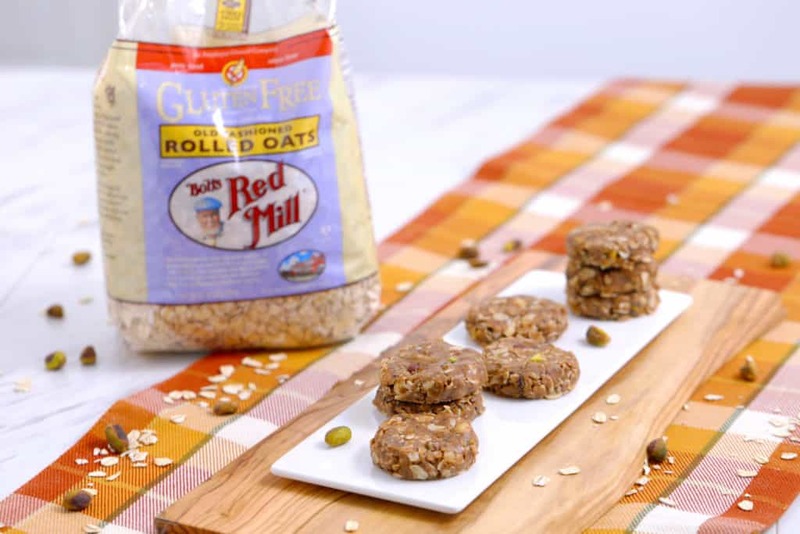 Plus, Bob’s Red Mill makes all of their gluten free foods in a dedicated gluten free facility AND lab tests them to ensure they’re suitable for anyone with celiac or gluten intolerance. Personally, as someone who’s sensitive to gluten, I love and appreciate having that certainty with my oats! Heat almond butter and maple syrup over the stove or in a microwave for about 15 seconds and mix to integrate. Stir in remaining ingredients until well-combined. Use a cookie scoop to portion out dough (I used a 4-tsp scoop), roll into balls with hands, and place on a plate with parchment. Press flat and refrigerate for 1-2 hours.